Hopefully, there will never be a transition due to a fire. Nikon Coolpix P7000 , Best at original size. 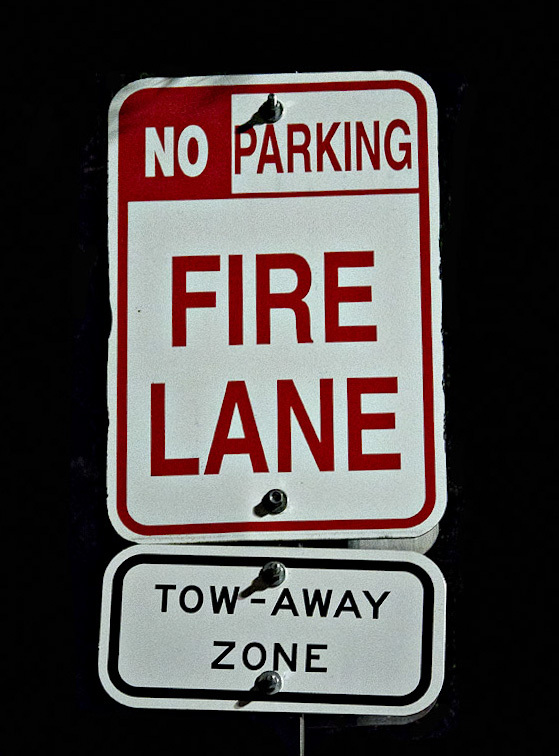 Tack sharp capture of the sign and hopefully there will be no fire and no towing!V! Good entry! Love the contrast! V.
Possible transition is good too! :) Great light.